Neoprene, also known as polychloroprene, is a type of synthetic rubber, which is produced by polymerization of chloroprene. It comprises characteristics such as low oxidization rate and ozone & weathering resistance, which help to extend the shelf life of neoprene-based products, despite exposure to ozone compound and weathering stimulators. In addition, neoprenes resistance to hydrogen gas, natural gas, ammonium salts, mineral oils, silicone oils, greases, and various chemicals is a key factor that boosts the demand for neoprene-based products. Furthermore, fire resistance, high thermal insulation, and lightweight nature of the fabric have increased its use in manufacturing wetsuits/swimsuits. Moreover, enhanced flexibility and adequate surface friction are some of the major advantages of using neoprene for the production of wide range of apparels. Extensive and unique advantages offered by neoprene fabric such as quick drying, thermal resistance, & chemical resistance, high stretchability, and enhanced comfort drive the growth of the global neoprene fabric market. In addition, rise in health consciousness among users and increase in sports & fitness enthusiasm among customers boost the demand for neoprene fabric-based activewear. Moreover, rise in participation of customers in sport activities fuel the sales of overall performance wear including neoprene fabric outfits, which positively impacts the market growth. For instance, increase in participation of customers in walking for fitness is leading to surge in sales of sport shoes and running shorts & t-shirts. Moreover, holistic approach of customers toward athleisure wear boosts the growth of the overall market. Furthermore, increase in fitness and sports consciousness among young generation and upsurge in disposable income are some of the notable factors that support the market growth. Volatile cost of raw materials and high cost of designing result in excessive cost of the final product, thereby declining sales of neoprene fabric among price-sensitive consumers. Similarly, availability of counterfeit brands causes inconvenience & safety issues for customers, which adversely impact the market growth. 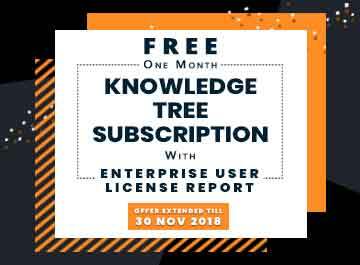 On the contrary, growth in number of promotional activities is anticipated to create product & brand awareness, which accelerates the market growth. In addition, initiatives by various organizations, such as rise in number of fitness wear-related campaigns and programs are presumed to expand the consumer base. Moreover, development of green textile and its use in formulation of various performance outfits is expected to attract green consumers, which is anticipated to provide lucrative opportunities for the market expansion. The report segments the global neoprene fabric industry based on type, end use, and region. Based on type, it is bifurcated into polychloroprene rubber and circular knit. Based on end use, it is categorized into outerwear; ready-to-wear; swim wear, wet suit, & rash guard; footwear; and others. By region, it is analyzed across North America, Europe, Asia-Pacific, and LAMEA. The adoption of neoprene fabric as essential clothing for various sports and fitness outfits propels its use across the world. Moreover, crossovers between sportswear and leisurewear have led to the formulation of athleisure, which is widely adopted as a casual as well as a sportswear in the developed regions such as North America and Europe. Furthermore, increase in disposable income and health consciousness among consumers drive the market growth in Asia-Pacific and LAMEA. The swim wear, wet suit, and rash guard segment generated the maximum revenue in 2018, owing to rise in costal tourism. Moreover, rise in government initiatives to promote travel & tourism drives the demand for these apparel among consumers. Countries such as India, Philippines, Australia, and Thailand are some of the emerging costal destinations, which witness upsurge in the number of western tourists, thereby boosting the market growth. 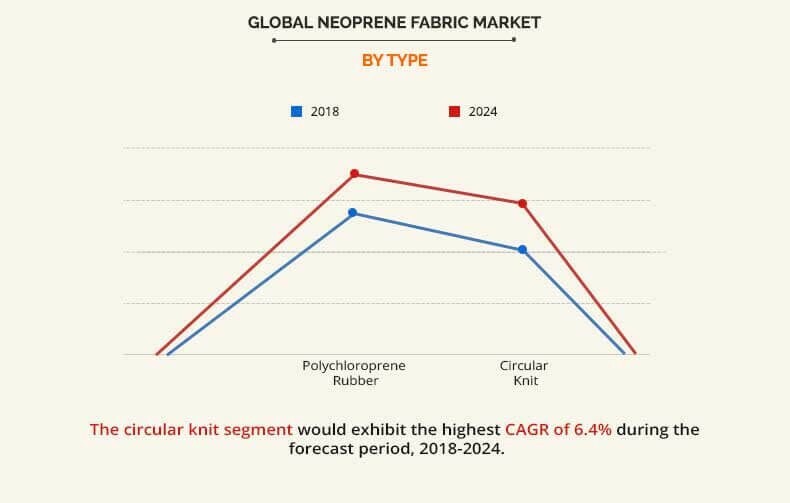 The polychloroprene rubber segment dominates the Global Neoprene Fabric Market, however, the circular knit segment is anticipated to witness high growth rate during the forecast period, owing to rise in demand for various neoprene fashion wears such as t-shirts, skirts, and others. 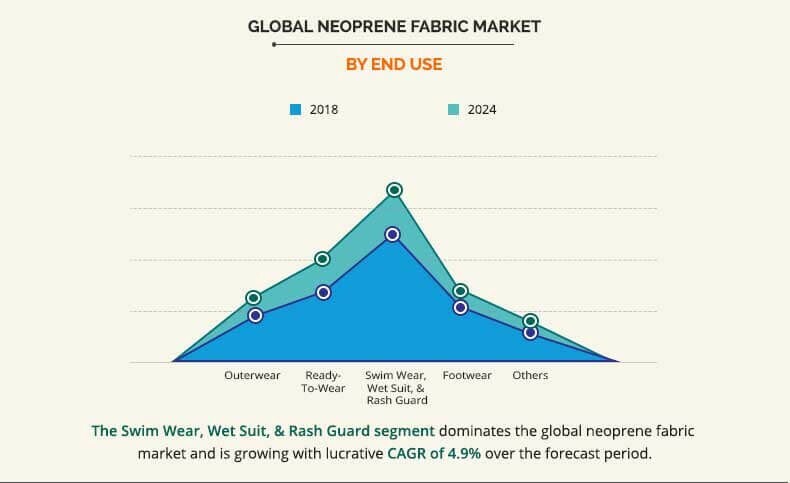 Major players operating in the neoprene fabric market include Rivertex Technical Fabrics Group, Colmant Coated Fabrics, Fabric House S.R.L., Sheico Group, Lomo UK, Techneopro Ltd., Xcel Hawaii, Inc. (Boardriders, Inc.), Rip Curl Group Pty Ltd., Brunotti Europe BV, and Johnson Outdoors Inc.
Other prominent players in the market include Active Foam Products, Inc., Sky Industries Limited, Eastex Products, Inc., and Auburn Manufacturing, Inc. The report provides an extensive analysis of the current & emerging market trends and opportunities in the global neoprene fabric market. 7.8. RIP CURL GROUP PTY LTD.
Neoprene, also known as polychloroprene, is a type of synthetic rubber, which is produced by polymerization of chloroprene. This material is significantly used in the production of wet suits and other outfits for physical activities such as sports and fitness. It is used for optimum performance supported with comfort in sports activities. In addition, it is widely accepted by fitness and sports enthusiasts due to its physical activity boosting features such as enhanced grip, wicking function, and adequate comfort. Moreover, advantages such as bi-flexibility, easy drying, and resistance to water fuel its adoption among consumers. 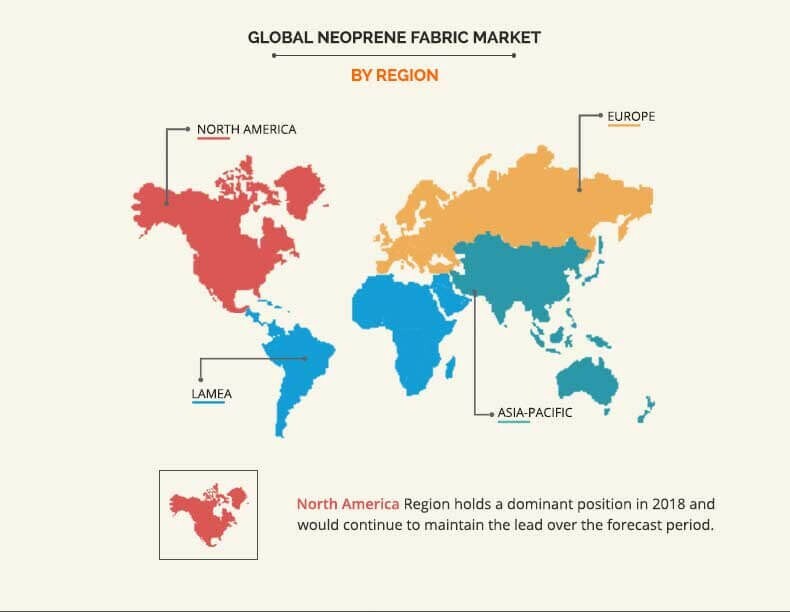 Increase in disposable income, improved lifestyle, and customer consciousness toward health & fitness are expected to positively affect the neoprene fabric industry during the forecast period. Furthermore, adoption of the athleisure wear as casual & office clothing and rise in number of customers participating in various physical activities fuel the growth of the neoprene fabric industry. However, presence of counterfeit products, high cost of designing, and volatile cost of raw material, are expected to restrain the market growth.